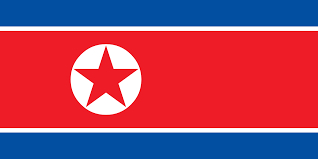 North Korea is one of history’s most brutal, irrational, vicious, and cruel regimes. The so-called Democratic People’s Republic of Korea is not democratic, views its people as dehumanized slaves to the collective, and sullies the notion of republicanism through rule by a monarchic dynasty now in its third generation. Despite its status as the closest realization of George Orwell’s dystopian fascist nightmares, North Korea continues to be seen by most Americans, and by most American media, as more ridiculous than evil. This is a mistake. On the one hand, it’s easy to see why any nation would legitimately be upset about a film whose core plot is about the assassination of its head of state: If North Korea made a comedy about trying to assassinate Barack Obama, there would be outrage among Americans. From their frame of reference in a totalitarian state where the government controls absolutely every aspect of daily life, there is a legitimate cognitive disconnect where the North Koreans are incapable of understanding that Sony’s stupid satire movie is not an instrument of United States foreign policy. Ironically, Rogen and Franco, playing characters who bumble their way into a high-stakes diplomatic crisis, actually did bumble their way into a high-stakes diplomatic crisis. 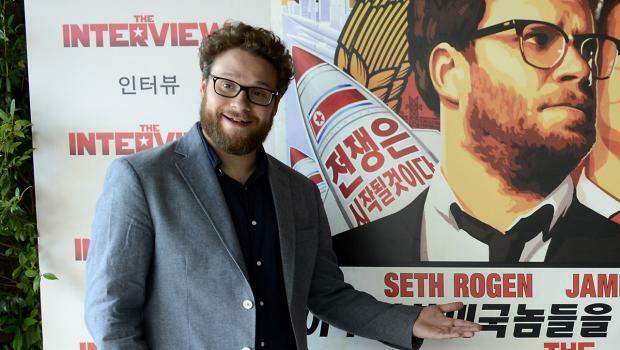 At first, leaked information from the computer infiltration was released showing that Sony spent $44 million making The Interview, including paying Rogen $8.4 million for co-directing and acting and paying Franco $6.5 million for acting. Threats of violence were circulated, leading Sony to cancel the premiere of the film in New York City and to cancel all promotional appearances for Rogen and Franco. Eventually Sony announced that movie theater exhibition chains with concerns about safety of their facilities, their staffs, and their audiences would be excused from contract if they wanted to pull out of showing the film, and all of them did. At this point, it seems doubtful whether the film will make it out of the Sony vault ever to be seen by anyone. Sony, by capitulating to terrorist threats and squelching The Interview, is doing grave damage to the real national security of the United States. If the response to Pearl Harbor had been to withdraw all American forces in the Pacific Ocean back to California, avoiding an unpleasant fight by surrendering Hawaii and the Philippines, the world would be much different – and much less safe – today. War is never a good thing, but when someone drops bombs on you, you’re in one whether you like it or not. As a friend of mine pointed out, if the American government had politely asked Sony to suppress the opening of a film, there rightly would be an outcry about First Amendment violation; North Korea has no concern for such niceties. Certainly it is understandable that theater exhibitors are worried about physical safety, and maybe The Interview can no longer be released theatrically due to concerns about both moral and financial liability should a showing be targeted by terrorists, but in the modern world this is no excuse to suppress the film itself. Now that Sony has clearly given up all hope of recovering the $44 million they spent to make it, they might as well post the film to the Internet for free: they would not even need web servers, but could make a courageous patriotic statement by putting a copy on one computer and connecting it to BitTorrent, issuing a press release, and letting tens of thousands of anonymous volunteers help them out. One of the most deservedly famous scenes in cinematic history occurs in Casablanca where a group of German soldiers in the Nazi-occupied city is singing “Die Wacht am Rhein” and the entire café is roused to drown them out with the French national anthem “La Marseillaise.” It’s an unforgettable scene, especially if you know that half the extras were genuinely in tears at the filming because they were real-life refugees from the Nazis. It’s a commonplace in talking about Casablanca to say they don’t make films like that anymore, but the relevant question is: Do they make filmmakers like that anymore?